Dory may have memory loss but is just makes her downright aDORYable if you ask us! Friends are family that you get to pick for yourself. Dory knows this more than any other fish in the sea. The upbeat Blue Tang may not have a great memory but she has a great ability to make lifelong friends wherever she goes. She may have lost her mom and dad when she was young, but she's gained tons of fish along the way who really love and care about her. Marlin, Nemo, and her new buddies Hank, Destiny, and Bailey all become members of Dory's finned "family" because of her cheery personality, contagious smile, and her ability to finagle her way out of sticky situations, the Dory-way of course! 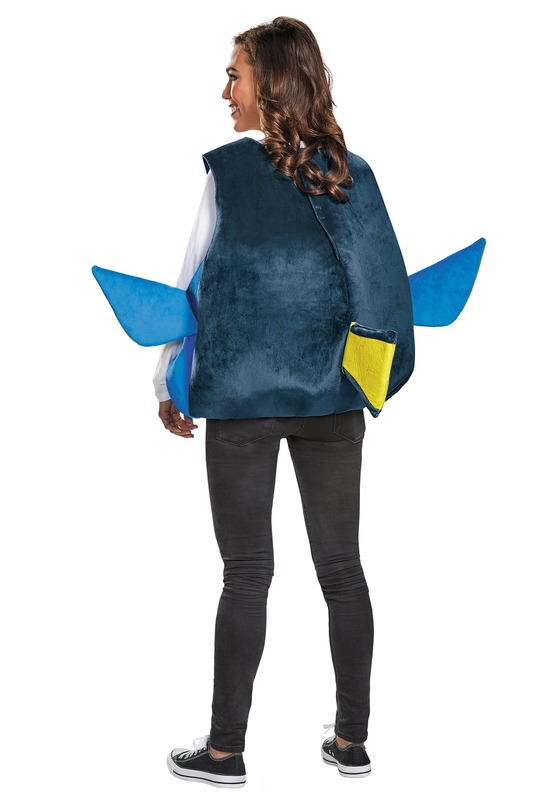 This adult Dory costume will give you the ability to make friends faster than you can say, "just keep swimming." People will take one look at this plush tunic and want to come up and chit chat with you because if you're sporting a Dory costume, you must be bubbly! You can really get into character by pretending that you only have a 10 second memory too. Make people giggle by "speaking whale" and telling them the tale of how you out swam a giant squid. 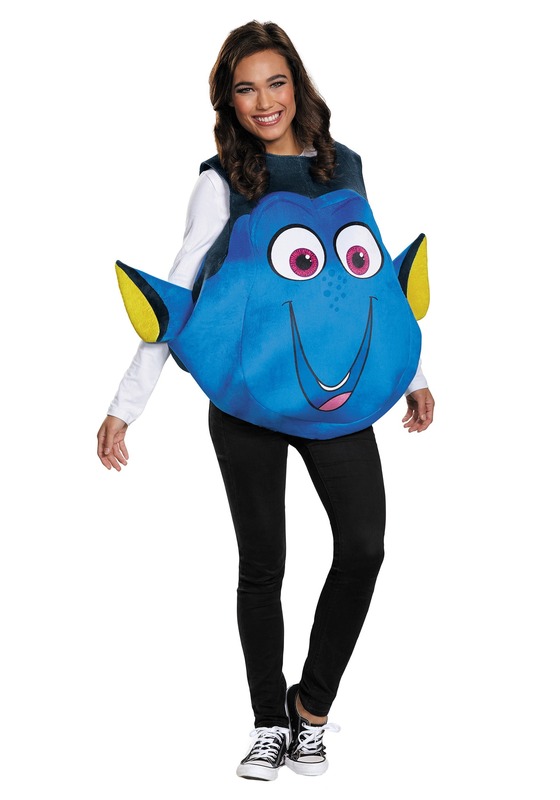 This Disney/Pixar costume can easily become a group couples costume by having your beau dress up as Nemo! You'll love doing things the Dory-way for an evening and we bet that you'll be amazed by how many lifelong friendships you can make all in one evening! Received this costume fast and at a cheaper price than any other competitor. Loved it!